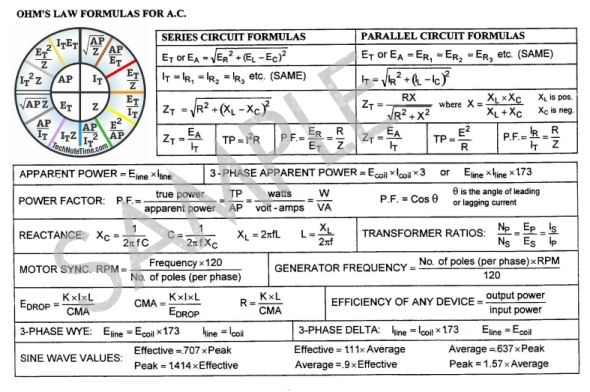 TechNote Time offers all the information you need for understanding the differences between AC and DC Ohms law formulas. Ohm's law for either AC or DC Theory. 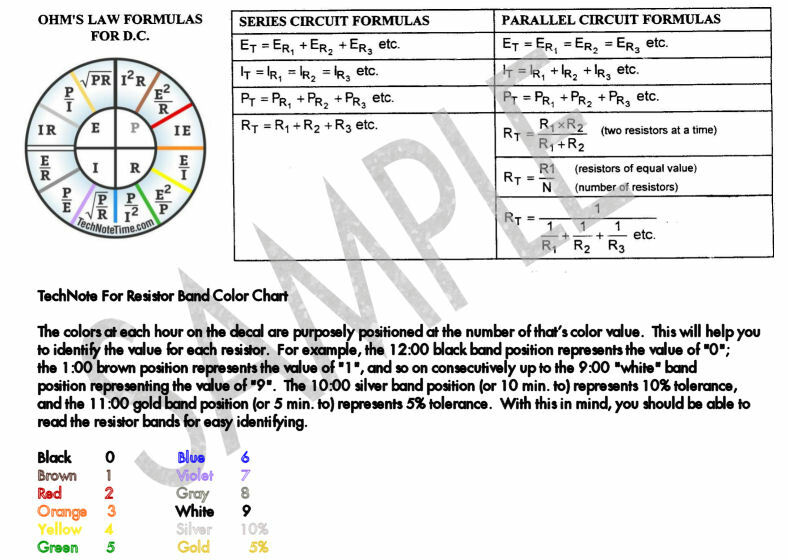 You may print these cards for your personal use, but know that this page is copyrighted and our image cards may NOT be used on another website for any purpose, nor may our cards be reproduced in quantity for resale or otherwise. You are welcome to link to our page. While here we would appreciate you visiting our online store where you will find many unique gift ideas for those working in the electrical trades. Not in the mood for funny t-shirts, hats, mugs, belt buckles, decals Ohm's law watches, clocks and the such? Then why not bookmark our site and tell your family and friends about our store? Surely there's a gift there you might want for Father's Day, your Birthday or Christmas! TechNote Time is your electrical trades gift store - and a whole lot more! We thank you!